Looking for water heater installation and repair? South Orange Plumbing Heating & Air Conditioning offers full service of your water heater 24/7. If your water heater is leaking or isn’t heating water correctly, call us today. Our certified and knowledgeable technicians are pros in water heater installation and repair services. They will help you decide on the best option for your home, family or business. We offer installation, repair or replacement services for all types of water heaters: gas water heaters, electric water heaters, tankless water heaters, commercial and residential water heater service. Sediment accumulation is the most common thing that damages water heaters, especially as they wear out. During the process of heating water, limescale and other minerals build up along the sides of the tank and the burner. If these minerals are not removed out of the water heater with the help of water filtration, they create a sediment barrier that will remain on the burner and seriously influence your water heater’s operation. Do you want to keep your water heater safe? Call South Orange Plumbing Heating & Air Conditioning for water heater inspection or water filtration and we will gladly take care of your problem. Water heaters also use much energy at your home, in many cases they account for about 25 percent of your total home’s energy use. As they get older, this number increases, and the units become even more expensive to operate. Do not wait until your hot water heater fails or becomes inefficient and replace/upgrade it as soon as any problems develop. At South Orange Plumbing Heating & Air Conditioning many options are presently available that will keep your home safe as well as save you money. A hot water heater is estimated to serve eight to twelve years on the average. Gradually in the process of your water heater operation dirt, scale deposit and various minerals settle on its bottom as water is pumped into the tank. These mentioned “components” can add up (which, of course, depends on your water hardness), slowing the effectiveness and productivity of your water heater. In case if they are left untreated, it results in rusting of your water heater tank, until you have to substitute the unit entirely. There is a famous saying – prevention is better than cure. This can be said of water heaters maintenance as well. 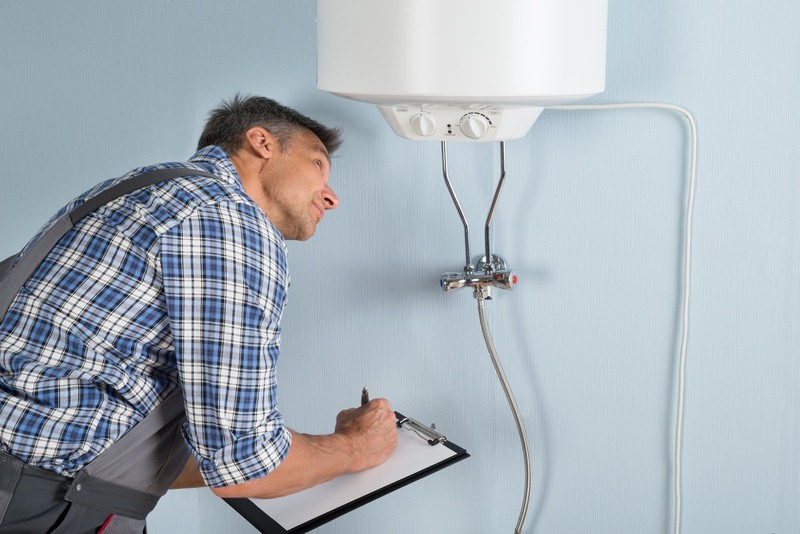 Only a few people think about simple maintenance procedures to improve their water heaters’ proper and cost-effective operation. Adjust the thermostat to 120 degrees to prevent scalding by hot water. Keep 2 feet of space around the water heater unless the manual says otherwise. Every six months drain about one fourth of the tank to remove the deposit and debris. A garden hose inserted into the drain valve will do the draining. Have it run until the water is clear. Every year test the temperature-pressure relief valve by quickly clearing it a couple of times. Examine it for small leaks as well. Use a fiberglass cover to protect older water heaters and increase their efficiency at the same time. Contemporary units are already adjusted for top energy efficiency. If you follow these simple recommendations, they will help your water heater to serve longer. However, if you face any problems with your water heaters, do not get frustrated! At Orange County Plumbing Heating & Air Conditioning our licensed specialists in water heater installation, maintenance and repair services will provide you with the best options available for your family or business. When choosing a water heater, think about different water heater types available in the market today and decide on the proper size and fuel source for your home in advance. Your water heater should not only provide necessary amount of hot water but will also need to save energy as well as save you money. Do preliminary research on different types of water heaters and how to pick the right model for your home. Standard storage water heaters contain a ready storage tank of hot water. Tankless or demand-type water heaters heat water directly without a storage tank. Heat pump water heaters transfer heat from one location to another without generating heat directly in order to provide hot water. Solar water heaters use the sun’s warmth to provide hot water. Tankless coil and indirect water heaters operate a home’s space heating system to heat water. At Orange County Plumbing Heating & Air Conditioning we assist our customers in selecting the right water heater for their homes. What energy sources are there for my water heater proper operation? Do I have to keep the same fuel type of my water heater or can I get a different system? Which systems are the most suitable for my climate? How much hot water does my home consume? Should I estimate the purchase costs and running costs of different water heater types? What are the prices and benefits for tank and tankless systems? Discuss these issues with your hot water heater expert like the one from Orange County Plumbing Heating & Air Conditioning. The need for hot water service might occur at the most unexpected moment, for example when you get in the shower and the water gets cold, because another family member runs another faucet in the kitchen! At Orange County Plumbing Heating & Air Conditioning not only do we repair water heaters when they break down, we also replace the old system with the new one when the current water heater cannot be fixed. Water heaters are complex units; consequently they should be installed only by professional and knowledgeable plumbers like those at Orange County Plumbing Heating & Air Conditioning. 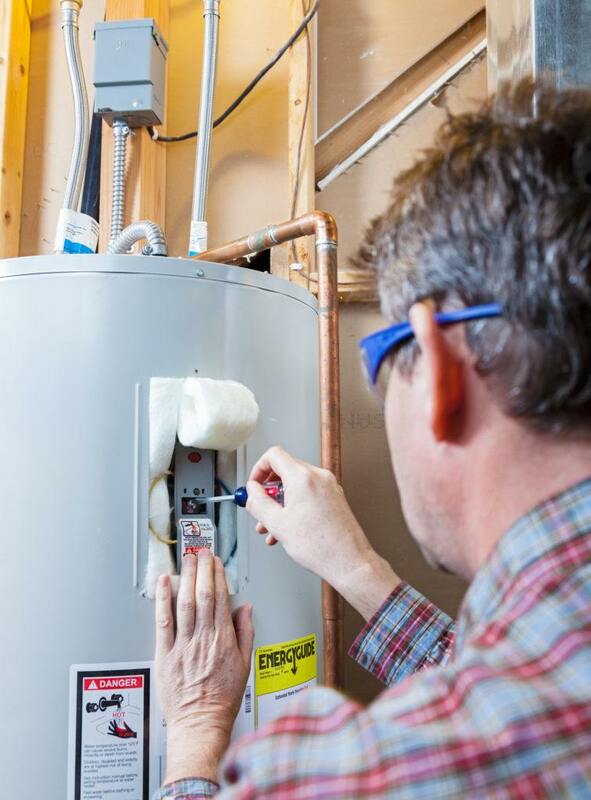 Homeowners who are trying to fix or replace their own water heaters endanger themselves and their families being exposed to the risks of electric shock, gas leaks, serious water damage, carbon monoxide poisoning, and even explosions. Do you still want to take chances? Call us when you need a replacement or repair of your current unit. Your unit takes too long to heat water. You constantly run out of hot water. Your heater makes a “popping noise”. Average lifespan of 8-12 years has been exceeded. If you did notice the mentioned issues, do not panic, instead contact our plumbers at Orange County Plumbing Heating & Air Conditioning and we will take care of all your plumbing problems.